Giannis Antetokounmpo is having an amazing season. James Harden is having a historic one. 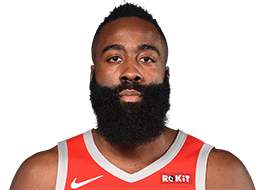 And that’s the principal reason why Harden, the Houston Rockets’ superstar, should win the NBA’s Most Valuable Player award for the second straight season. Harden recorded a 32-game stretch in which he scored 30 or more points. Only Chamberlain has had a longer stretch: 65 games in the 1961-62 season. Harden has had 51 games of 30 or more points. The rest of the entire NBA has a combined 10. Harden has registered two, 60-point plus games. Only Jordan, Chamberlain and Kobe Bryant have ever achieved that. Harden had back-to-back games in which he totaled 118 points. In the last 50 seasons, only Jordan and Bryant have done that. Harden’s 36.2 point scoring average is the highest since MJ averaged 37.1 in the 1986-87 season. Only MJ and Wilt have ever had a higher single-season scoring average. Earlier this season, when Chris Paul and Clint Capela were sidelined with injuries, Harden put the Rockets on his back and kept them afloat in the highly competitive Western Conference. After Paul and Capela returned, and with Harden playing at a ridiculously high level, the Rockets soared. They are third in the Western Conference and have just three fewer wins than two-time reigning NBA champion Golden State. Lastly, the rap on Harden has been that he’s a sieve on defense. That was once true; it isn’t anymore. He is second in the league in deflections and is second in the league in steals. As for Antetokounmpo, his numbers are gaudy. He’s averaging 27.3 points a game, which ties him with Philadelphia’s Joel Embiid for fifth-best in the league, and 12.6 rebounds, fifth-best in the league. He is also averaging 6.0 assists. The only other player in NBA history to post a 27-10-6 season in those categories was Oscar Robertson in the 1961-62 season. And while those numbers are impressive, they could be even more impressive if his minutes hadn’t been reduced by Bucks first-year coach Mike Budenholzer. Last season, Antetokounmpo averaged 36.7 minutes. This season, he’s averaging just 32.9 minutes. Antetokounmpo is also the best player on the team with the best record in the league, although he and the Bucks have been aided considerably by playing in the Eastern Conference where virtually half of the teams are below average to flat out bad. As of today, four of the five worst records in the league belong to Eastern Conference teams. The lone Western Conference team in that group is Phoenix and the Bucks lost to the Suns on both occasions this season. It also should be noted that while Antetokonmpo has improved in some statistical categories from last season, he has slipped in several as well. He’s shooting an anemic 24 percent from 3-point range, down from 30 percent a season ago; his free throw percentage is 72, down from 76, and his turnovers are up, 3.9 a game this season compared to 3.0 last season. Yet, nobody questions whether Antetokounmpo is a certifiable MP candidate. He and Harden are clearly in a two-player race for the coveted award. James Harden, Houston. See above. Giannis Antetokounmpo, Milwaukee. See above. Nikola Jokic, Denver. 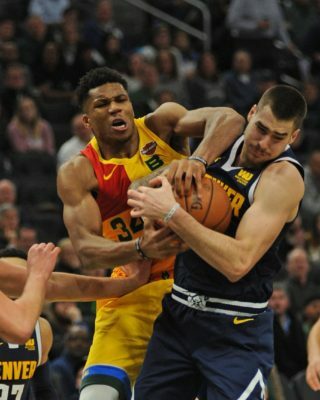 The Nuggets simply wouldn’t be challenging for the best record in the West without this well-round player who is averaging 20.3 points, 10.8 rebounds and 7.5 assists. Also considered Oklahoma City’s Paul George, Golden State’s Kevin Durant, Philadelphia’s Joel Embiid, Golden State’s Stephen Curry. 1) Rudy Gobert, Utah. He’s the only player to rank in the top four in rebounding (fourth) and blocked shots (fifth) and one can safely assume in alters. 2) Paul George, Oklahoma City. A tenacious one-on-one defender who can guard multiple positions. 3) Andre Drummond, Detroit. The guy is a beast on the boards as his 15.4 rebounds a game average attests. That’s nearly two more rebounds per game than the runnerup in that category, Joel Embiid. Also considered: Golden State’s Klay Thompson, Milwaukee’s Giannis Antetokounmpo, Toronto’s Kawhi Leonard, Milwaukee’s Malcolm Brogdon, Philadelphia’s Jimmy Butler. Pascal Siakam, Toronto. Unless you’re an ardent NBA follower, you probably never heard of the guy until this season. He was a mere role player last season, averaging 7.3 points off the bench, but has emerged as one of the Raptors’ most important players by averaging 16.8 points and 6.9 boards as a starter. D’Angelo Russell, Brooklyn. The young point guard is enjoying a breakout season, going from an underachiever to an All-Star. Montrezl Harrell, Los Angeles Clippers. After three non-descript seasons, Harrell is arguably the heart and soul of the Clippers. His scoring average has jumped from 11 to 16.6 and his rebounds have increased from 4 to 6.7. Also considered: Brooklyn’s Spencer Dinwiddie. Lou Williams, Los Angeles Clippers. One of the greatest off-the-bench players in NBA history, Williams shows no signs of slowing down at the ripe age of 32 as he’s averaging 20.3 points in 26 minutes. Domantas Sabonis, Indiana. The 22-year-old Sabonis has played like a seasoned pro (a near double-double of 14.1 points and 9.3 boards) and has been a key cog in the Pacers’ run to the playoffs. Eric Gordon, Houston. While the veteran shooting guard isn’t a starter, he plays starter’s minutes: 32 a game. And he produces: 16.2 points a game. Luka Doncic, Dallas. In an exceptionally-talented rookie class, nobody performed consistently better than Doncic, who is averaging 21.1 points, 7.6 rebounds and 5.9 assists. Trae Young, Atlanta. The flashy point guard struggled before the All-Star break but has been fantastic after it with 12 games of 22 points or more, including a 49-point explosion. Like Doncic, Young, who is averaging 18.9 and 7.9 assists, has a chance to be a bona fide star. Deandre Ayton, Phoenix. The 7-foot-1 center was the No. 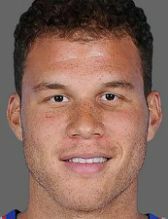 1 overall pick and has enjoyed a banner season, averaging 16.3 points and 10.2 rebounds while shooting 59 percent from the field. Mike Malone, Denver. Tell me one person who predicted the Nuggets, who didn’t even make the playoffs last season, would challenge for the best record in the Western Conference. Nate McMillan, Indiana. When Pacers’ All-Star guard Victor Oladipo went down with a season-ending knee injury just 36 games into the season, there was a prevailing feeling among NBA officials the Pacers were down for the count as well. That never happened as the Pacers not only will be in the playoffs but could also have home-court advantage in the opening round. Mike Budenholzer, Milwaukee. Although the Bucks were a good team at the end of last season with Joe Prunty at the helm, coming within a game of beating Boston in the first round of the playoffs, Budenholzer has taken the team to another level and has it poised to make a deep playoff run. Also considered: Los Angeles Clippers’ Doc Rivers, Portland’s Terry Stotts, San Antonio’s Gregg Popovich. Elton Brand, Philadelphia. It’s hard to acquire one blue-chip player during the season, much less two. But that’s precisely what Brand did in obtaining Jimmy Butler and Tobias Harris without disrupting the core of the team. Masai Ujiri, Toronto. Ujiri pulled the trigger on perhaps the biggest trade of the year in acquiring superstar Kawhi Leonard from San Antonio. He then acquired Marc Gasol, one of the best all-around centers in the game, from Memphis at the deadline. Donnie Nelson, Dallas. Nelson made a bold draft-day trade with Atlanta and then selected Luka Doncic, the prohibitive Rookie of the Year. He then followed by making a shocking trade with New York at the deadline for Kristaps Porzingis, a potential superstar. Also considered: Indiana’s Kevin Pritchard.